OBLATES OF SAINT PAUL - St. James Parish, Oakville, Ont. 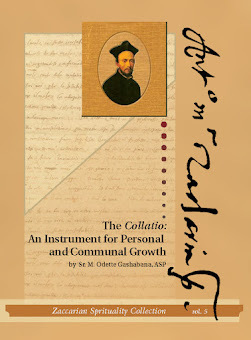 I am the blogger of A Catholic Life, and since you write specifically on St. Anthony Mary Zaccaria, I wanted to offer you a guest posting opportunity on A Catholic Life and/or Holy Vocations Blog. 1. 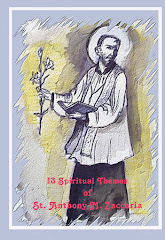 How does the life and example of St. Anthony Zaccaria help the average Catholic in living a more Catholic life? 2. How does the life and vocation of St. Anthony Zaccaria inspire priestly and religious vocations? 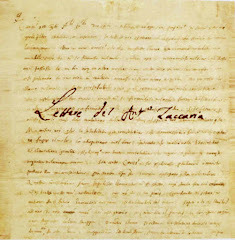 If you would like to write these - sometime before his coming feast day - please let me know. My email is acatholiclife at gmail.com. I am extending this invitation first to you. Thank you. St. Anthony's blog is wonderful! Yes, it's very nice to have something old and something new. I enjoyed skimming through Anthony Alive. It's a classic! Hearing the letters is also a treasure. TODAY'S THE DAY FOR THE NOVENA! How wonderful that the blog is "out there" evangelizing in places that we haven't even imagined! Divine Providence will take it wherever It wills. It's true that all we have to do is show up for work and the Lord will handle the rest. Thank you for being a hard working example for the rest of us. what a surprise to see the blog spot on St. Anthony! wonderfully done and up to speed with the modern communication system.